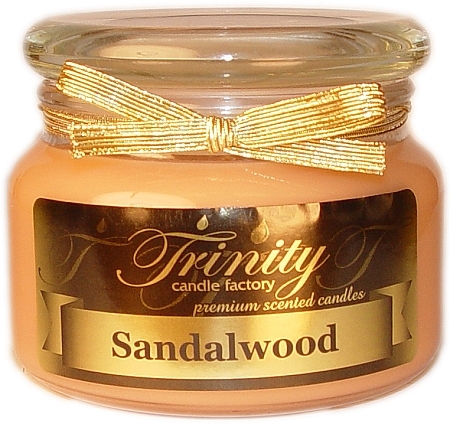 Trinity Candle Factory Premium Scented Sandalwood - Traditional - Soy Jar Candle - 12 oz. This Traditional style jar candle comes in all fragrances, premium scented for maximum fragrance throw. With a 80-90 hour burn time, cotton wick and premium scent. Our Sandalwood fragrance is a nice, earthy and woodsy blend all rolled into one great smelling fragrance. An all time favorite. 100% Satisfaction Guarantee. Love, love, love this candle! Sandalwood is so hard to find, as is quality and good service. 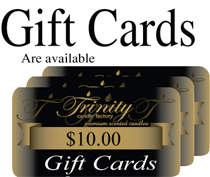 Trinity is three for three. I take off one star because the candles are a bit expensive, but I would splurge here again. Love the scent. Rec'd my order in a flash! Thank you.